About 80 species of pine grow across the US and Canada, both native and introduced. These are "true pines" of the genus Pinus, not species of spruce or fir or juniper that may colloquially be referred to as pines. They are typically tall, stately trees, reaching heights of 50 to 150 feet. Branches grow from the trunk in whorls of four and are somewhat horizontal. The bark is usually thick and scaly, occasionally thin and flaky. Leaves are evergreen, needle-like, and generally grow in bundles of two to five. Seed cones vary in length and width. Pines can be found in a variety of landscapes: forests, fields, rocky outcroppings, yards, and city parks. For the purpose of this article, I will focus on eastern white pine (Pinus strobus.) 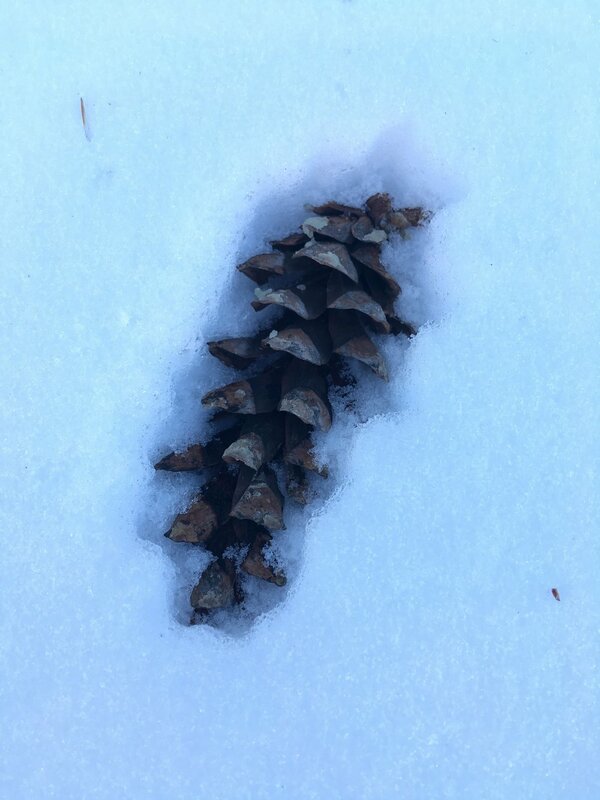 The reasons are multi-fold: it is easy to identify; it is the pine I'm most familiar with; and it is safe to work with. There are some reports of pines— particularly ponderosa pine (Pinus ponderosa)— causing abortions. However, these claims stem from veterinary studies showing that ponderosa pine needles are toxic to cattle and can produce abortions or still births. I found no evidence that it has a similar effect in humans. Furthermore, the potentially hazardous chemical— isocupressic acid— is limited to a few pine and juniper species. It is not reported in eastern white pine. So unless you have a pine allergy, vinegar infused with eastern white pine is perfectly safe, and ponderosa pine vinegar probably is too. Just stick to reasonable quantities; consuming massive amounts of pine vinegar would probably be dangerous for anyone. Eastern white pine (Pinus strobus) is native to the US and Canada, growing from Quebec south to Alabama, northwest to Manitoba and back east to Quebec. (From here on out I'll just refer to it as "white pine" for simplicity's sake.) It can be found in upland forests and planted ornamentally in yards and parks. It is a towering tree, growing to heights of 130 feet. Its bark is dark grey and thick, with long, furrowed ridges or scaly plates. The needles are 2 to 4 inches long, grow in bundles of five, and have a soft, feathery texture and appearance. They remain on the branch two years. Mature seed cones are cylindrical in shape, often slightly curved, between 3 to 8 inches long. 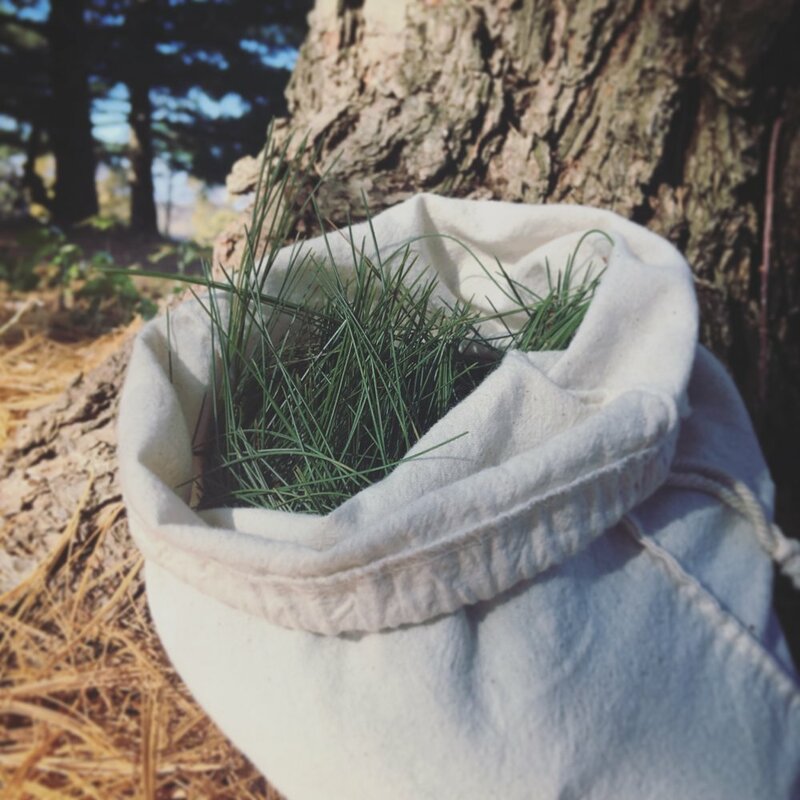 As an evergreen, pine needles can be picked year round. Use a knife, scissors, or your hands to pluck needle bundles into a bag or other container. 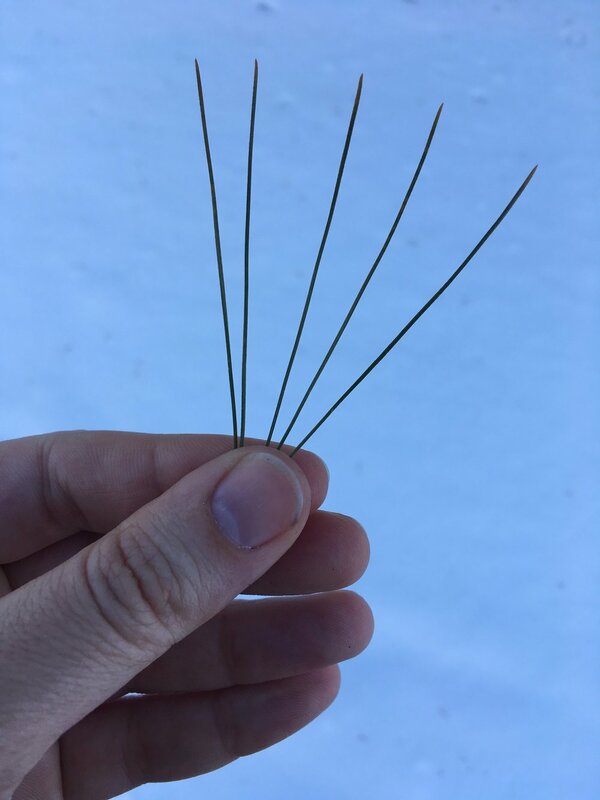 When picking pine needles, keep in mind that the new needles on the tip represent that years growth. This means that the tree won't develop more needles until next spring. So don't pick all the new growth from one spot; be sure to move around between branches and from tree to tree. And never pick the leading tip (at the very top of the tree) as this can stunt growth. Taste and vitamin content vary depending on how long the needles have been on the tree. According to this US Forest Service study, new white pine needles have 0.72 mg of ascorbic acid (vitamin C) per gram. Older needles have 1.18 mg per gram, while second year needles have values as high as 1.87 mg per gram. Compare this to an orange, which according to the USDA has 53.2 mg of vitamin C per 100 grams, or 0.532 per gram. This means that second year needles have three and a half times as much vitamin C as an orange! However, older pine needles also develop more pronounced bitter and resinous flavors. If you're interested in a lighter, citrusy flavor, be sure to pick fresh needles from new spring/summer growth. Due to its high acid content, vinegar functions as an amazing preservative. I recommend white wine vinegar or apple cider vinegar as the base. (Using raw, unfiltered apple cider vinegar will provide beneficial bacteria, enzymes, and vitamins and minerals.) 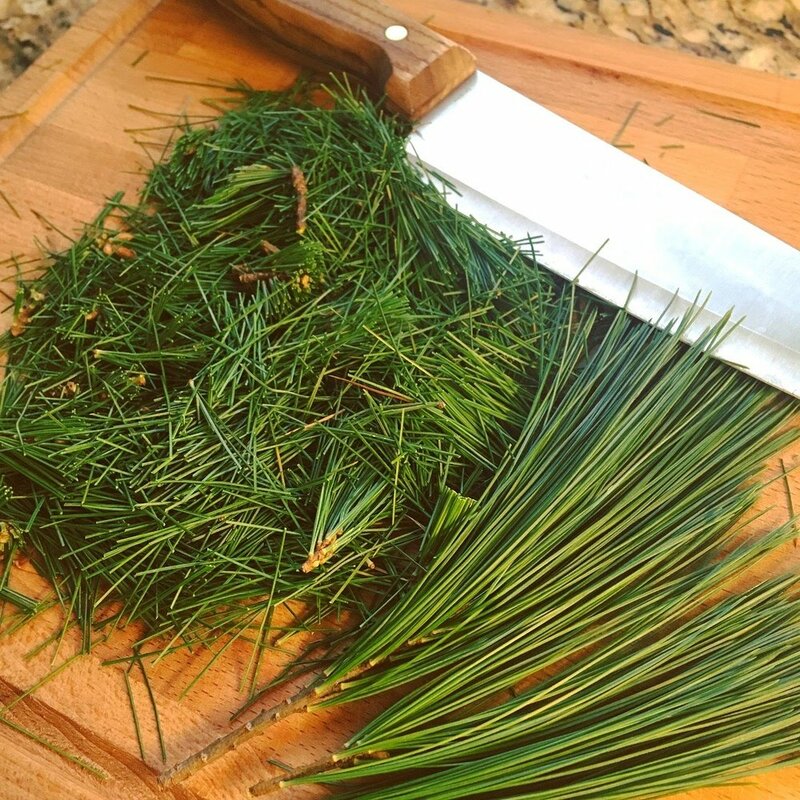 To start, gently wash and dry your white pine needles. Then coarsely chop with a sharp knife. You will need equal parts clean, dry needles to vinegar. Place the needles in a sterilized glass jar, then pour in the vinegar. Make sure that it completely covers the needles. Screw on the sterilized lid and store in a cool, dark place. Add a label with the contents of the jar and the date. Let sit four to six weeks, tasting periodically to test the flavor. When it's ready, strain into another sterilized glass jar and put a new label on it. Use in salad dressings, marinades, sauces, and cocktails. It is also delicious in switchel! (See recipes below.) Or take medicinally by stirring two tablespoons into a glass of water and drinking daily for a shot of vitamin C! For best flavor, use within 6 to 12 months. 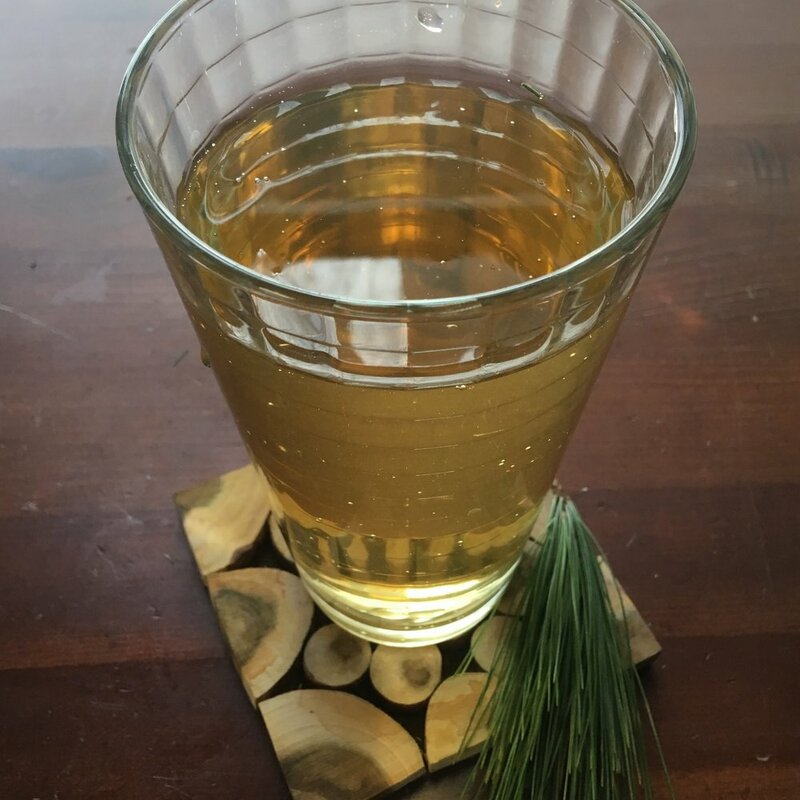 For something simple, try adding a splash of pine-infused vinegar to ginger beer. I like using Reed's Extra Ginger Brew, but the choice is yours! This warming drink is excellent when feeling under the weather. Pour ginger beer into a 16 fl oz glass. Add vinegar and give it a quick stir. Garnish with a slice of lemon or lime if desired. This refreshing beverage gained popularity in the US during pioneer times, when farmers and laborers used it to rehydrate and replenish spent nutrients. Think of it as a healthier Gatorade! Traditionally made with ginger, you can choose to omit this ingredient if you want a stronger evergreen flavor. Mix all ingredients in a large jar (omit sparkling water if using). Shake well and place in the refrigerator several hours or overnight. To serve, pour over ice or add sparkling water if desired. 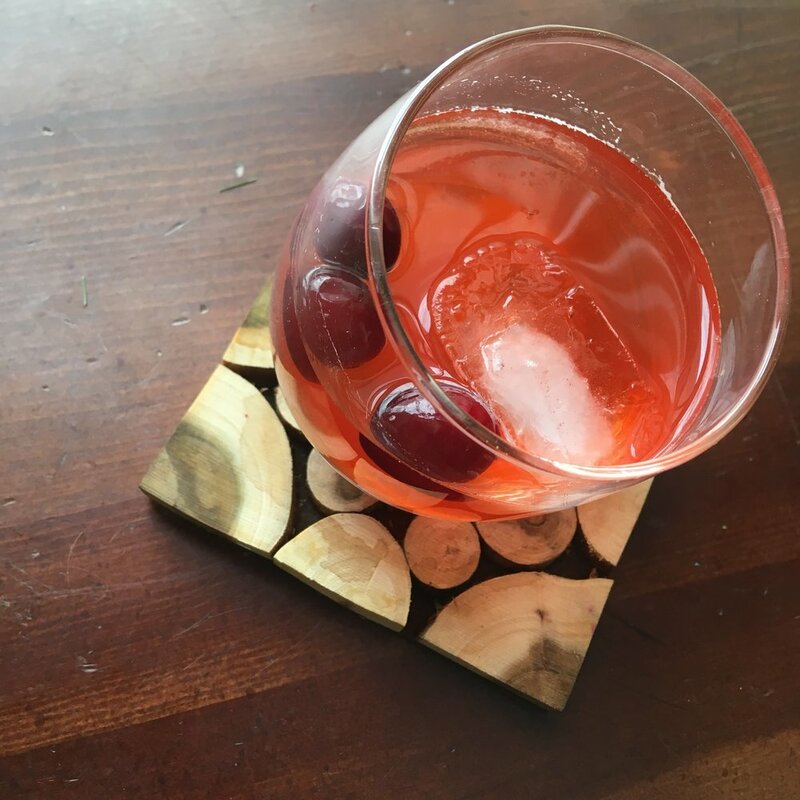 This drink requires some preparation, but trust me— the infusion time is well worth it! It mellows out the maple while intensifying the cranberry. If you decide to skip the infusion time, I recommend using a simple syrup instead of maple syrup, or the maple flavor will overpower. Muddle cranberries and maple syrup together in a 16 fl oz glass jar. Add gin, cover, and let infuse in refrigerator for at least two hours. Add the remaining ingredients and briefly stir. Strain into two half-pint glasses. Add an ice cube to each and garnish with a few berries. Clearly these recipes focus on drinks, but there's so much more you can do with pine-infused vinegar! I believe that pines, and evergreens in general, are an underutilized food source. I would love to see more people cooking with them! Go out and try it yourself, and please send your ideas, experiments, and recipes!